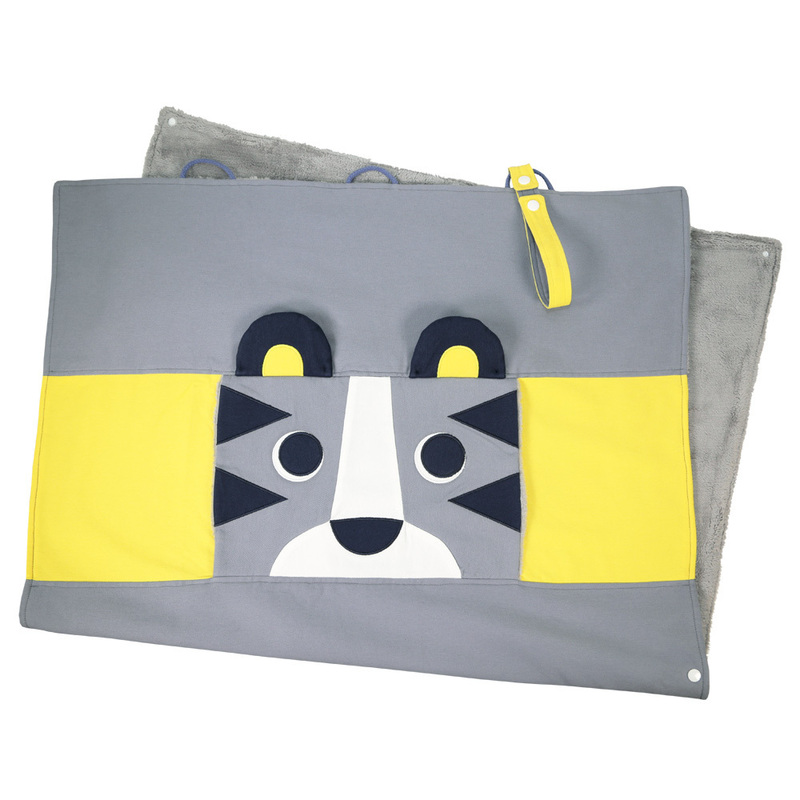 Our strollerblankets are not only comfy and snugly but also provide special features! The illustration on the front acts as a warming pocket for small hands and a convenient foot pocket is created by use of snaps. 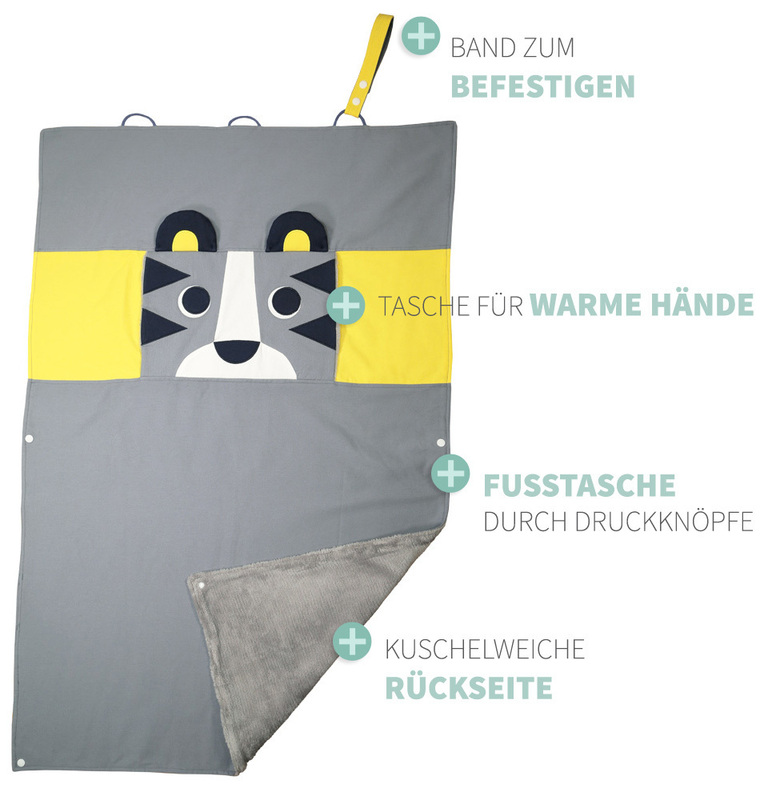 The blanket can be attached to the stroller with the supplied strap so that it cannot get lost.